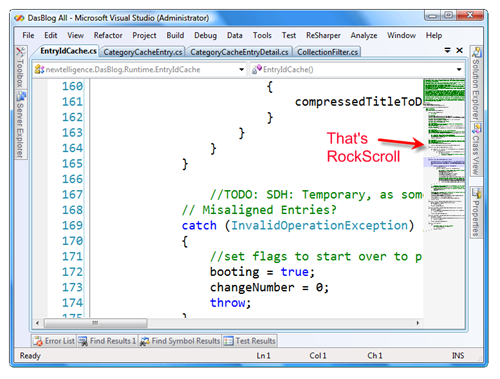 peSHIr.NET: Remember RockScroll? Now there's... MetalScroll! Are you sure it works in VS2005? I have uninstalled RockScroll and enabled Horizontal scroll bar but it is still not showing up. After recommending MetalScroll to a fellow developer I checked the information on it once again and only then found out the middle click functionality it has. Awesome.